Poland, one of the biggest economies in Central Europe, is also home to one of the fastest developing aluminium markets in the region. The country’s aluminium consumption grew by about 10 percent in 2018, reaching 1.43 million tons. According to information published by “Nowa Stal” Magazine, the driving force behind this growth came from secondary aluminium, flat products, long products, foil. The production of aluminium in Poland grew by about 15 percent year to year, hitting 852.7 thousand tons. Warsaw exported 492.7 thousand tons of aluminium and imported 1067.0 thousand tons. The country has emerged as a European leader of secondary aluminium products, especially casting alloys. Local manufacturers produced 368.4 thousand tons of these products in 2018 (10% growth y-o-y). Total consumption of secondary aluminium reached 616.4 thousand tons, mostly going to the automotive sector. It’s also important to note that the country has no primary aluminium production. Similarly, Polish companies have been able to capitalize on two crucial advantages: high quality and competitive costs (especially labor costs) to expand their reach in international markets. Take Grupa Kęty, one of the country’s biggest players. The company, which is processing about 85 thousand tons of aluminium per annum, has specialized in three sectors: extruded products, aluminium systems and flexible packaging. This focus has helped the company not just flourish domestically but also find customers abroad. For example, Grupa Kęty’s US subsidiary Aluprof signed several prestigious contracts in 2017, such as the construction of luxury apartment buildings in New York City and London as well as the head office of UK shipyard BAE Systems Maritime-Submarines in Barrow-in-Furness. But Grupa Kęty is not the only Polish success story. Alumetal is one of the biggest European manufacturers of secondary aluminium casting alloys. With a total capacity of 250 thousand tons p.a., the company exports about 60 percent of its production. There are two more aluminium sectors in Poland that are growing at rapid clip: extruded products (profiles and components) and flat products (sheets and strips). In this first case, production reached almost 220 thousand tons in 2018 (19 percent growth y-o-y), and analysts are quite sure that production levels of aluminium profiles will not slow down in the next few years. The biggest companies operating in the extrusion sector are planning to launch new production lines, which will further expand their capability. These new investments are necessary because almost all Polish manufacturers specialized in extrusions suffer from the same problem: their production capacity is not sufficient to fulfill demand. As a result, imports have been growing, with Poland buying more then 300 thousand tons of aluminium flat products in 2018. The explanation for this booming demand comes from the rapid growth of the Polish construction sector. 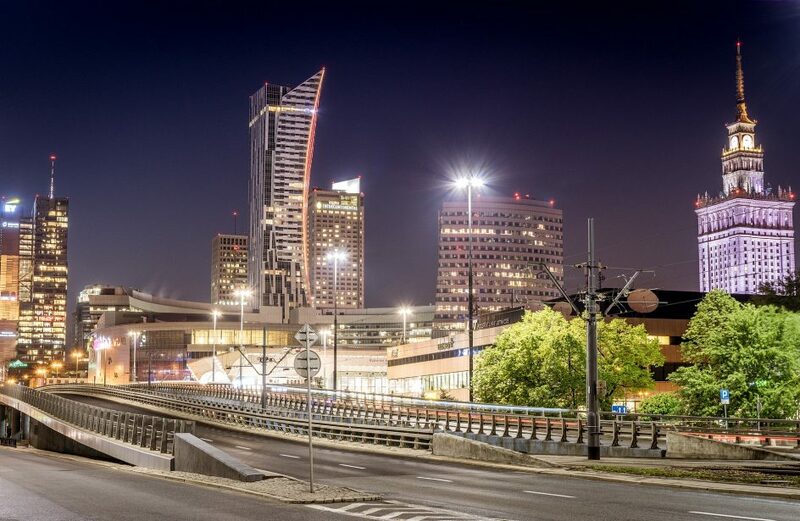 All main cities, like Warsaw, Gdansk, Wroclaw, Katowice are fast expanding their commercial office spaces, which are consuming hefty quantities of aluminium. The aluminium flat products market has big potential as well, after production grew by 21.9 percent in 2018, hitting 176.4 thousand tons. There are only two aluminium flat products manufacturers with production facilities (rolling mills) in Poland: Impexmetal Aluminium Konin and Eko-Świat Group. Much like the extruders, these companies are having a hard time keeping up with demand. Aluminium flat products have multiple applications in various growing industry sectors (e.g. automotive, transportation, energy, packaging, white goods), leaving little doubt that the popularity of the metal will increase. This trend can have positive impact on producers as well as distributors and processing companies. That’s why Polish aluminium service centers are investing. We can expect new cutting lines and CNC centers to be launched in 2019 and next years. Although there are some global risks, which can have a negative impact on the market, the outlook for the Polish aluminium sector is rather good. At the last Alumetal press conference in November 2018, board members said that, while the automotive sector is likely to slow down in 2019, the overall demand for their products should be stable. The reason for this optimism is quite obvious: the Polish economy is growing every year by 4 – 5 percent. It is one of the best rates in European Union. As GDP expands, the demand for aluminium is rising as well. That’s why managers are focusing on much needed investments in both capacity, efficiency and product quality. These factors will play a crucial role in deciding the fate of Poland’s aluminium sector in the next few years.